There is a saying in the world of entrepreneurs that goes something like this: “The day I quit is the day before I succeed.” While it is impossible to prove this theory wrong, there is no doubt some of the biggest and best companies in the world have had their moments of failure, uncertainty, and catastrophe – and yet they have lived to tell the tale. Next time you are wondering if it’s time to let go of your business and move on, take note of these start-up stories, which really do prove anything is possible, and it is never time to quit. Entertainment, social networking and news website Reddit reportedly receives 169 million unique visitors every month. By anyone’s standards, that is a lot of traffic, even for a website that launched ten years ago. While these numbers may cause you to wonder if your website could ever reach such heights, the story of Reddit’s humble beginnings truly proves anything is possible. You see, when Reddit first launched in June 2005, it was just like any other fledgling website: it had no visitors. But rather than rest on their laurels and wait for people to find the site, Reddit’s two co-founders – Steve Huffman and Alexis Ohanian – had other ideas. To get the ball rolling, Huffman and Ohanian set up a plethora of fake user accounts. Using these accounts, they created and inserted themselves into conversations on the bulletin board-style site. According to Huffman, these fake accounts served two purposes. Not only did these fake accounts help populate the site with users, albeit fake users, but they also helped set the tone of the site and steer conversations in the direction Huffman and Ohanian had in mind when they founded the site. The upshot: It’s all about herd behavior. When a website has users, the subtle implication to an outsider is that there must be something to see or do. Think about how you feel when you walk down a street and see a crowd of people gathered around something. You want to see what the fuss is about, right? The lesson here is to make it appear as if your business has a crowd. Launched in early 2012, The Muse is a one-stop career destination for millennials offering everything from career advice through to a thriving job board. Although The Muse received plenty of buzz in its early months – and a site such as The Muse was sorely needed at the time – co-founder Kathryn Minshew knew she needed to find a way to continue the momentum. Now, it’s no big secret that one of the quickest and most effective ways to spread the word about your fledgling business is to tell everyone you know. So, Minshew decided to do just that. She sifted through her Gmail account to unearth the email addresses of everyone she had ever emailed. By the time she was done, Minshew had an Excel spreadsheet containing around 1,000 email addresses. Then, she began “spreading the word,” emailing each and every address on that list. Minshew soon found herself in a bit of a pickle. Perhaps unsurprisingly, Gmail had blacklisted her as a spammer and shut down her account. Now, she was not only unable to continue emailing her contact list. She couldn’t email anyone, at all. The upshot: There is nothing wrong with using guerrilla marketing tactics to spread the word about your business, but remember the old adage: “If it looks like a duck, swims like a duck, and quacks like a duck, then it probably is a duck.” Minshew obviously didn’t intend to spam anyone, but Gmail couldn’t be expected to know that. If you’re planning to employ similar guerrilla marketing tactics to promote your business, try to think ahead so you can avoid similar disasters. So how did Airbnb go from receiving rejection letters to being one of the most highly valued start-ups in the world? They did what any forward-thinking entrepreneurial team would do and created cereal boxes. Wait, what? Yes, you read that correctly. The team made special-edition Cheerios cereal boxes – using cardboard and hot glue, no less – named after the two presidential candidates running in the 2008 elections: “Obama O’s” for Barack Obama and “Cap’n McCains” for John McCain. 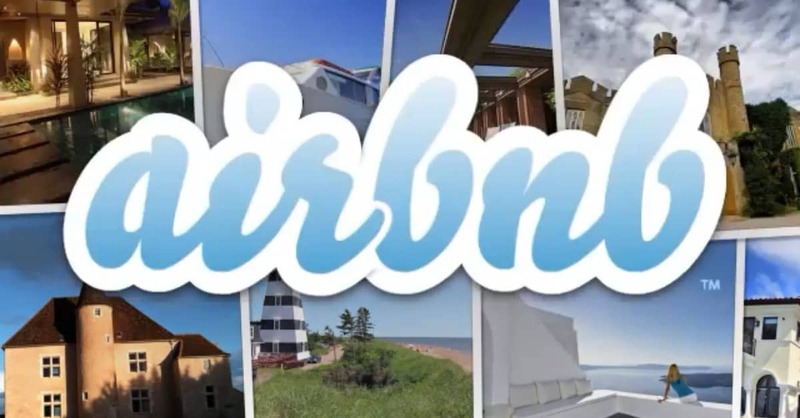 This quirky yet totally ingenious idea helped Airbnb raise the tens of thousands of dollars the team needed to keep Airbnb in business. The upshot: The struggle – and the hustle – is real. The Airbnb team is living proof that if you want your business to survive and thrive, even when everyone is saying no, you are going to have to hustle like you have never hustled before, even if it means thinking (way) outside the box. Instacart founder Apoorva Mehta wanted to get into Y Combinator, the revered Silicon Valley-based seed fund, badly. Unfortunately, Mehta soon discovered he had missed the application deadline by a whopping two months. That was three years ago now. Instacart has now raised more than $275 million in investor money, with Y Combinator the first to jump on board. So how did Mehta gain a place in Y Combinator’s highly sought-after program? He was determined. Firstly, Mehta appealed to his network of connections and asked them for introductions to any Y Combinator partners they knew. Soon, he had several introductions at his disposal, so he moved on to the next step: emailing partners. Unsurprisingly, given he was two months past deadline, he received several rejections. However, Mehta’s keen eye spotted a small window of opportunity in one rejection email. Mehta pounced. He knew that the key to gaining a place in the program relied on the partners getting to know his product, so he used the Instacart app to send Garry Tan, a Y Combinator partner, a six-pack of beer. Lo and behold, it worked. Mehta received a meeting and was able to impress the group enough to be accepted into the program shortly after the meeting. The upshot: Ideally, your product/business should be able to speak for itself. If it does, half your work is done. The other half is simply getting your product/business in front of the right people and allowing it to win hearts and minds. GoDaddy founder Bob Parsons had already encountered plenty of twists and turns in life, including a stint in the Vietnam War, when he decided to turn to entrepreneurship. In fact, it was during his time in Vietnam that Parsons developed a way of thinking that would serve him well – in combat and entrepreneurship. Put simply, Parsons learned to adjust the way he looked at things. In Vietnam, Parsons learned that the key to survival was to take things day by day. Parsons once told Inc.: “I didn’t worry about getting hurt. I didn’t worry about dying. I just focused on mail call the next morning.” By adjusting his thought process, Parsons was able to make it through. Fast-forward to 2001, four years after Parsons launched GoDaddy. While GoDaddy hadn’t yet gone bust, it was on its way, and Parsons was considering shutting down the company before he lost his entire fortune. But then a moment in time caused Parsons to adjust his focus, again. He was in Hawaii when he noticed the valet parking cars looked as “happy as a lark.” Then and there, Parsons realized that the worst thing that could happen to him if he went broke was he’d become a valet. Suddenly, by adjusting his focus, the “worst” didn’t seem so bad and maintaining a positive attitude was feasible. According to reports, GoDaddy became profitable just a few months later. The upshot: What’s the worst that can happen if you fail? You learn a lesson, and you move on. The worst-case scenario is always going to be something you can survive. When Marie Forleo first decided to be a life coach, she knew she was up against a large obstacle: her age. While she believed she had the goods, she also knew it would be hard to convince clients to listen to someone so young. Forleo quickly realized she had to fake it until she made it. Clearly, the move paid off. Marie Forleo (the brand) was one of Inc.‘s 500 fastest growing companies of 2014, thanks no doubt to its more than 275,000 followers worldwide. More recently, Marie Forleo (the woman) became one of the several mentors who will head to Richard Branson’s Necker Island in September to tutor up-and-coming entrepreneurs. The upshot: Look ahead to figure out the obstacles you might encounter, and then come up with a plan to tackle them. Don’t be afraid to face your fears head on. Uber has managed to fit a lifetime’s worth of drama into its six years. Although co-founders Travis Kalanick and Garrett Camp conceived of the idea in early 2009, the first UberCab (as it was then known) app arrived on the scene during the summer of 2010. 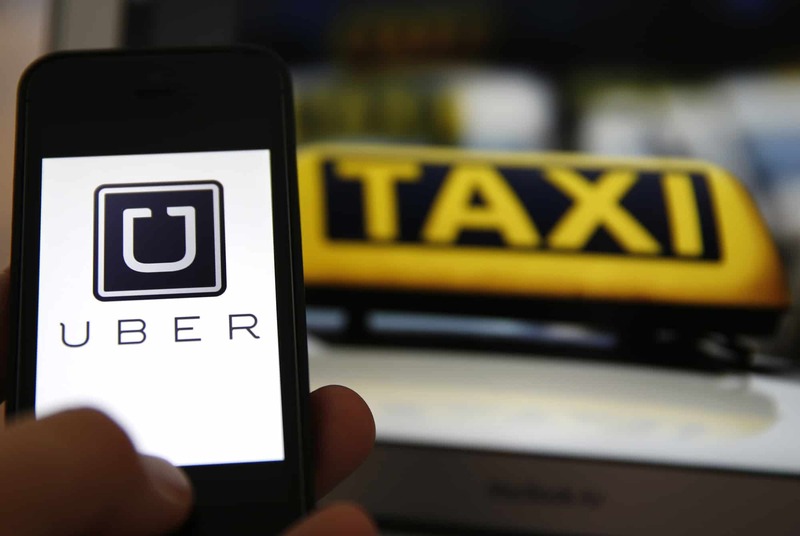 Within a few short months of its arrival, UberCab received its first cease-and-desist letter, which caused the company to change its name to Uber. A year later, a funding deal between Uber and Netscape co-founder Marc Andreessen, of Andreessen Horowitz, fell through. Details on the situation are still iffy. In the years since, Uber has encountered other issues: a wrongful death lawsuit; a class-action; allegations Uber operates operating illegally; protests; allegations of sabotage; accusations of sexism and misogyny; privacy complaints, and safety issues. The list goes on, yet still Uber grows. Not only is Uber expected to generate US $10 billion in revenue by the end of the year, but the company is also undertaking a slew of new initiatives. The upshot: The issues Uber has faced are enough to make even the most hardened of entrepreneurs quiver, so how has Uber not just survived but thrived? Put simply, Uber offers a service that consumers love. Moreover, they love Uber more than they care about the issues surrounding Uber. That is enough to make investors throw money at Uber, which in turn gives Uber more than enough money to shake off the issues, one by one. The proof is in the pudding: never give up. Tomorrow is the day you succeed.